Why Hedge Funds Are Betting on Hertz Global Holdings, Inc (HTZ)? Hertz Global Holdings, Inc (NYSE:HTZ) is one of the largest general use vehicle rental businesses in the world. In this article, we will take a closer look at the aggregate hedge fund sentiment towards the stock and will assess why smart money investors are bullish on the company. Hedge fund sentiment is an important metric for assessing the long-term profitability. At Insider Monkey, we track over 740 hedge funds, whose quarterly 13F filings we analyze and determine their collective sentiment towards several thousand stocks. However, our research has shown that the best strategy is to follow hedge funds into their small-cap picks. This approach can allow monthly returns of nearly 95 basis points above the market, as we determined through extensive backtests covering the period between 1999 and 2012 (see the details here). Hertz Global Holdings, Inc (NYSE:HTZ) operates the Hertz, Dollar, and Thrifty rental brands in approximately 10,000 corporate and franchise locations. 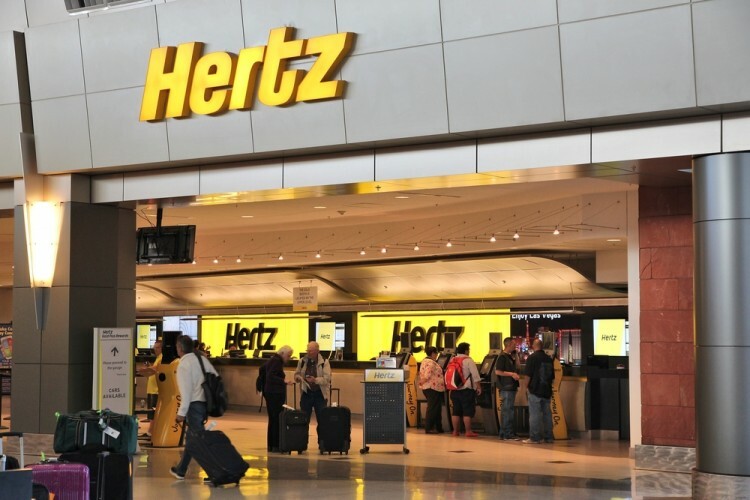 Hedge funds like Hertz because the rental car sector has consolidated substantially since 1999, with the number of major auto rental businesses shrinking from six to three. Those three businesses, Hertz, Avis, and Enterprise, control 90% of the industry and theoretically have more room to improve pricing and margins. Hedge funds also like Hertz for its cheap valuation. On June 30, Hertz spun off its equipment rental company, Herc Holdings Inc (NYSE:HRI), and received proceeds of around $2 billion from the transaction. Management will use some of the cash raised to pay down debt, reinvest in its rental business, and to purchase as much as $395 million of its shares back. Around the same time, Hertz struck a deal with ride sharing apps Uber and Lyft, allowing the apps’ drivers to rent mid-sized cars for around $180 a week and compact cars for slightly less. In contrast to investor worry that Uber and Lyft will cannabalize Hertz’s bottom-line, the deal shows how Hertz can co-exist with the two and use the apps to complement its own growth. For its second quarter, Hertz reported adjusted earnings of $0.41 per share, down from $0.80 per share in the prior year period. Revenue was $2.27 billion, off 2.2% year-over-year. Adjusted EPS was hurt by $20 million in unanticipated net charges, which lowered the bottom-line number by $0.15 per share, and by a 6% decline in total revenue per transaction day, which shrank the top-line. For the full year and excluding the equipment rental business, Hertz sees adjusted EBITDA of $850 million to $950 million, free cash flow of $500 million to $600 million and adjusted EPS of $2.75 to $3.50. Tubemogul Inc (TUBE): Discovery Group Buys More Shares of Struggling Advertiser... Here’s Why The Smart Money Likes Gulfport Energy (GPOR) Fifth Street Asset Management Inc. (FSAM): Mangrove Partners Lowers Its Stake... What Is Sunovion Getting From The Cynapsus Therapeutics Inc (CYNA) Deal? Emerging Sovereign Group Shuffles Top Positions In Bid To Recover Losses Why Are These Five Stocks Deep in the Red?